A Clear Direction Wichita is a private rehabilitation facility located in Wichita, Kansas. It was first founded in 2000, and since then, it has successfully grown to become one of the best outpatient rehabilitation centers in Kansas. This rehabilitation facility treats patients struggling with alcohol abuse issues and drug abuse issues of any kind. A Clear Direction Wichita offers two treatment programs – an outpatient treatment program and an Intensive Outpatient Program (IOP). The Intensive Outpatient Program (IOP) is recommended to patients with mild alcohol addiction issues and/or drug addiction issues. To the patients with more severe addiction problems, either alcohol or drug addiction issues, the outpatient program is advised to be taken upon. Both programs include regular individual and group therapy sessions, family therapy sessions, detoxification, relapse prevention as well as anger management sessions and couples therapy sessions when needed. The difference is in the duration of the two treatment programs. The Intensive Outpatient Program (IOP) lasts around 12 to 16 weeks, depending on the condition of the patient, where the regular outpatient treatment program lasts around 6 to 8 weeks. A Clear Direction Wichita offers patients of both the male and female gender, as well as, adolescents and adult patients. What makes A Clear Direction Wichita special is the fact that they accept patients referred to by the court and the judicial system. A Clear Direction Wichita includes life skills training in their treatment programs. This training prepares the patients for how to get back on their feet and continue leading their lives as normal as possible after their recovery. A Clear Direction Wichita follows the 12-step recovery process, including CBT (Cognitive Behavioral Therapy), and requires patients to participate in regular AA meetings. As we mentioned earlier, A Clear Direction Wichita is a facility that offers only an outpatient treatment program and an Intensive Outpatient Program (IOP) to their patients. No housing option is included in either of the two treatment programs. The main building is located in Wichita, Kansas where the counselors’ offices and the therapy rooms for both the individual and group therapy sessions are found. Outpatient treatment program – The regular outpatient treatment program allows patients to live at home and requires them to visit the facility only for their scheduled individual and group therapy sessions. The patients are required to visit the facility two to three times a week for their group therapy sessions and once a week for their individual therapy sessions. Relapse prevention sessions are included in the regular outpatient program. Additional family therapy sessions, couples therapy sessions, anger management sessions, etc. are to be scheduled additionally. The regular outpatient treatment program is led by LPCs (Licensed Professional Counselors). Intensive Outpatient Program (IOP) – The Intensive Outpatient Program (IOP) is a treatment program that allows the patients to live at home and once again, visits the facility to attend their therapy sessions. The Intensive Outpatient Program (IOP) at A Clear Direction Wichita requires patients to attend group therapy sessions three times a week, and individual therapy sessions twice each week as well. Again, the Intensive Outpatient Program is led by LPCs (Licensed Professional Counselors). Relapse prevention sessions are included in the program as well. Patients can be required to attend family therapy sessions, anger management sessions, and couples therapy sessions when needed. A Clear Direction Wichita is a private facility, but despite that, they do accept some insurance plans including Medicaid, Medicare, etc. There are many payment plans available for patients to choose from. For more information on the topic, please contact the staff via email or phone. 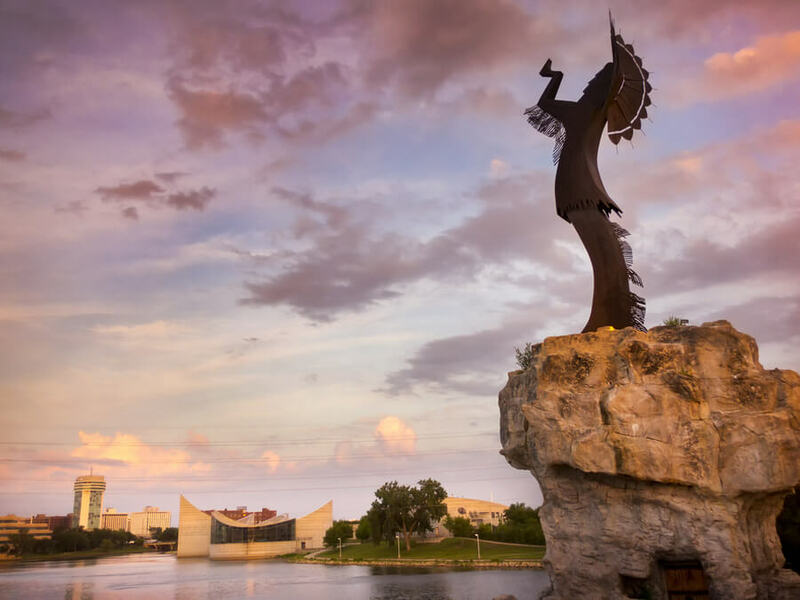 A Clear Direction Wichita has been accredited by The Substance Abuse and Mental Health Services Administration (SAMHSA). For more information on the topic, please contact the staff via email or phone. The patients have the opportunity to choose from having a female or a male counselor assigned to them so that they would work with who they are feeling the most comfortable with. Adolescents, as well as patients referred from the court/judicial system, are welcome at the facility as well. The professional team at A Clear Direction Wichita consists of both female and male LPCs (Licensed Professional Counselors), so the patients can choose from having their individual and group therapy sessions with a counselor with who they are most comfortable with. Other than the LPCs, there are clinical social workers and case managers on the team at A Clear Direction Wichita.